Across time and cultures and beliefs, the thread of spirit is woven into the fabric of our lives. We each need to travel our own path, and while many will travel along well worn roads, each person’s journey is unique. And so each cloth I create is also unique, a reflection of the tapestry that is your life. 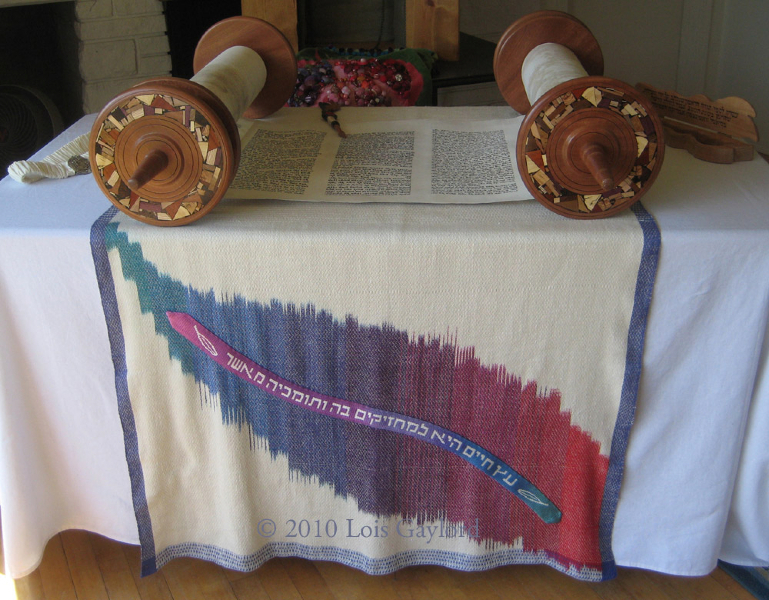 May the work of my heart (avodat ha’lev) flow through the work of my hands into the textiles I create to become the treasured cloth you love. 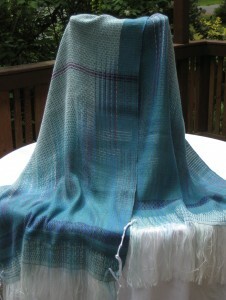 The connecting threads of community, items for use by a congregation or group. These are just the beginning, I am sure there are many possibilities for other traditions as well. 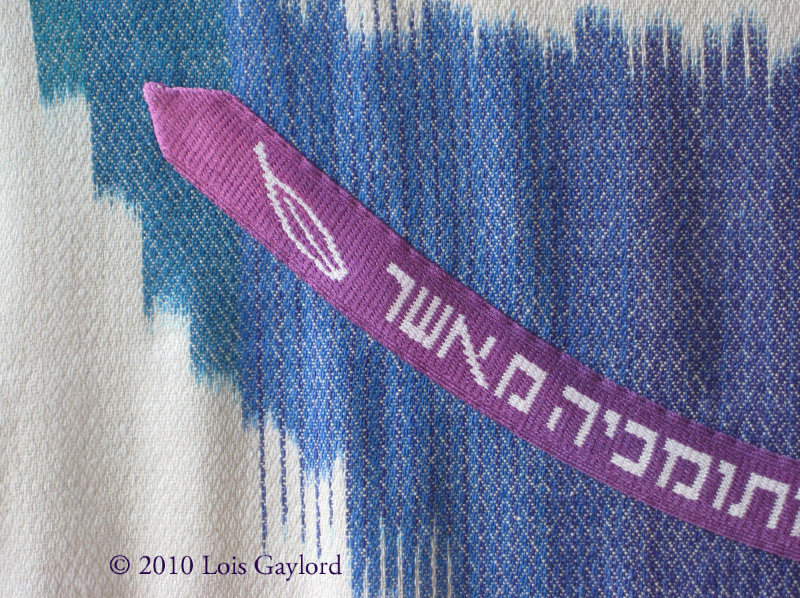 To see my current stock available for purchase, please visit my Judaica shop or my Metaphysical Shop: Weaving Oneness. To order a custom made item, send me an email or give me a call. Please let me know what you need. The fabric you love that will open your heart, lift your spirits, and serve its purpose with beauty and grace. 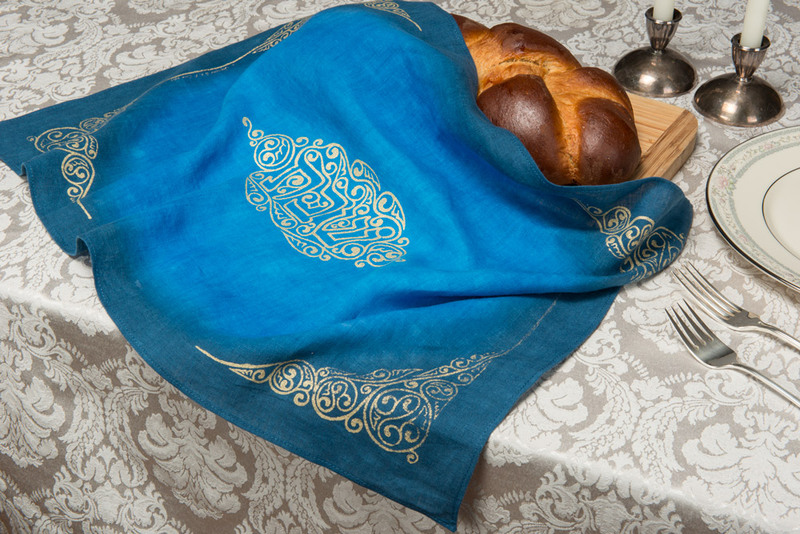 A cloth designed and created with love and reverence for use in ceremonies, rituals, religious or spiritual practices and celebrations. Art that celebrates the threads of spirit that connect us all.